In the lastest of our Summer Spotlight On series we caught up with Financial Services Consultant Clíodhna Lynch. Give us your CV in 30 seconds. A plethora of part time / tutoring jobs in Kerry, hit UCC to do a Bachelor of Commerce which offered me the opportunity of doing a 6 months Audit Placement in Deloitte. Finished college, bit of travelling, joined Azon! The daily realisation that I have once again slept through all alarms and will be legging it to work – followed quickly by the remembrance of the group of experts I get to go learn from that day. 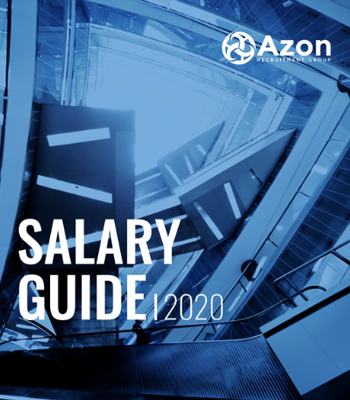 What opportunities have come your way since joining Azon? 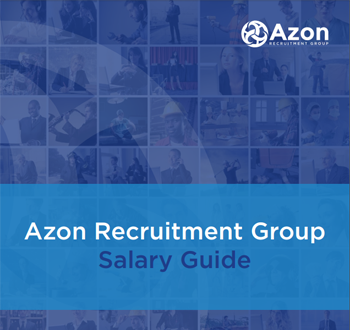 The opportunities I have received since joining Azon have been endless; as part of the Financial Services Team I get to understand the workings of the booming Financial Services Industry in Ireland and speak to candidates with impressive backgrounds and insights into the area. What is the primary role of your team? My primary role on the FS Team is to cater for qualified accountants across all levels who are looking to continue their career within a Financial Services Firm. What does it take to become a part of your team? It takes an understanding of the Financial Services Industry, an interest in Fund Services and Asset/ Wealth Management, commitment and perseverance! Ideal CV – one page or two? In an interview, are you good cop or bad cop? Ideally? Now. In practice?! Later! An exciting beginning to my career in Business. Biggest turnoff on a CV? Life is short so smile while you still have teeth! Favourite part of a working week? Thursday mornings- coffees and cakes! Progress within career, have craic! Get in touch with Clíodhna now to discuss your next move within the Financial Services realm.